I can't believe I attended my first menswear show a week ago today. When it comes to menswear I'm either very traditional (tailored lines, fitted but masculine) or I have a rugged side (loose fitted jeans, loose fitted button downs, a bit disheveled). VLOV Spring 2012 collection had some traditional looks but with Qinging Wu's own take on it-- a mix of more fitted looks then what I'm used to on men. 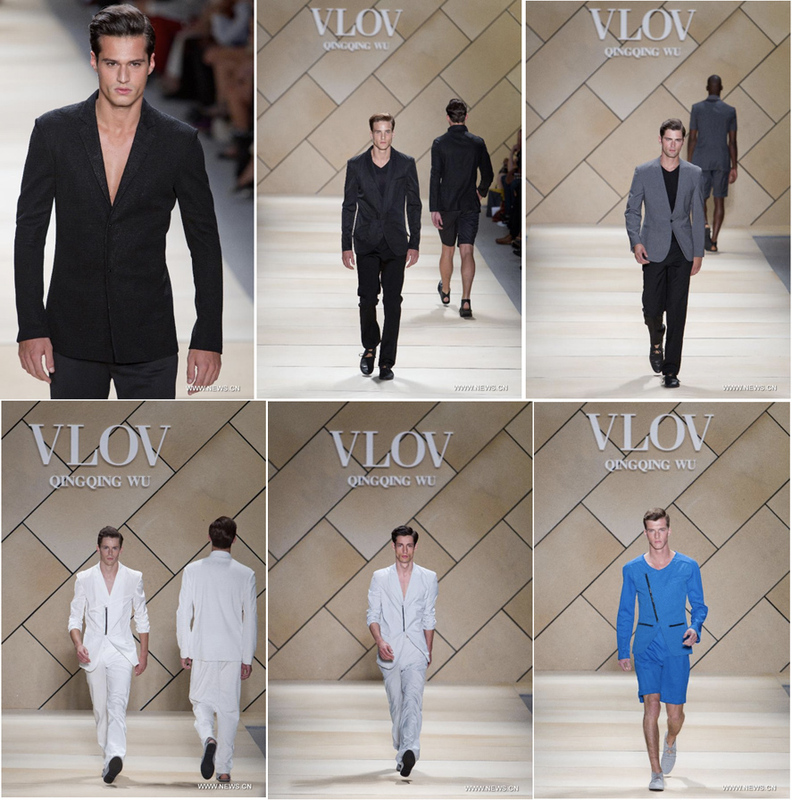 Wu was inspired by the letter V this season which you can easily find in his asymmetrical cuts and asymmetrical zippers. He also divided his collection into two themes "gray representing introspective elegance along with blue and white representing hope." I overall liked his more traditional looks then his fitted looks-- since some were to feminine looking for my eye. Also some the fabrics he used in the non-traditional menswear looks were a bit to bright or to shiny to see the "every day man" in. Very nice! Clothes and boys. I love white on guys, haha. I don't know what it is! Inspirational Monday: (It's My) Birthday!